Did you ever try out the wholesome and delicious seafood called mussels? If you haven’t, then you should try it out right away! Because the nutrients it has are extremely beneficial to your health. Want to know more about this wonder food and the vast range of health benefits of mussels? Then go ahead with your read! Mussels belong to the family of clams and molluscs from salt water and freshwater habitats. There are mostly two types of mussels – blue mussels and green lipped mussels. Unlike other edible clams, mussels have an elongated and asymmetrical shape. Most of them have shells that are generally rounded or oval. Their shells have subdued colors ranging in hues of blue, brown, gray and black while the interior is silvery. Their bodies are soft and spongy with a pale appearance and constitute the edible portion. They have a gritty and chewy taste. There are different species of mussels that live either in freshwater or salt water. They are mostly found in the shallow coastal areas of oceans or near the edges of ponds and lakes. Freshwater mussels are generally not eaten as they produce water pearls. Mussels can be eaten baked, smoked, fried, broiled and steamed and are a popular fast food item in the European and Pacific countries. Mussels are mostly grown in farms for commercial use, but they may be harvested in the wild. Mussels can be cooked with or without shells and have been declared the best seafood by the Monterey Bay Aquarium as the method of farming them is environment-friendly. They are also a nutrient dense food. Their various health benefits can be attributed to their nutritional value given below. Their nutritional profile comprises of vitamin A, B-vitamins like folate and B12, minerals like phosphorus, zinc and manganese as well as omega-3 fatty acids. A 3 oz. serving of cooked blue mussels contains 146 calories, 4 grams fat, 6 grams carbohydrates, 48 mg cholesterol and 314 mg sodium. Since mussels are cooked in salt water, they contain a higher amount of sodium than other varieties of shellfish. Mussels are a rich source of protein with a cup serving providing 18 grams of protein, which is equivalent to nearly 30% of the recommended daily value for an average adult. Dietary protein is an important source of amino acids required by your body to make proteins. These clams are also a good source of vitamin A. A cup serving of mussels contains 240 international units of vitamin A contributing to 10% and 8% of the recommended intake for women and men respectively. Mussels possess an abundant amount of selenium. A cup serving of mussels provides 67.2 micrograms selenium which is more than the recommended daily intake of 55 micrograms for adult men and women. Mussels are an excellent source of vitamin B12. A 3 oz. serving of cooked mussel meat provides 20.4 micrograms that are equivalent to a whopping 340% of the recommended daily intake of this vitamin. Now that you got to know what mussels are and what nutrients they contain, let’s go ahead and get to know of the amazing health benefits mussels can offer! Check out here some of the best Mussels benefits. Being low in total and saturated fat but high in omega-3 fatty acids, mussels contribute to a healthy heart. According to a research conducted by the American Heart Association, the omega-3 fatty acids, particularly those present in fish and shellfish, possess cardioprotective benefits. These heart-healthy unsaturated fatty acids lower the risk of developing abnormal heartbeats, as well as triglyceride and fat levels in the bloodstream, thereby reducing the risk of heart attack or sudden death due to heart disease. Research has proved that the residents of Maori coast of New Zealand whose diet comprised of green lipped mussels had lower incidences of arthritis. It has been particularly found to be beneficial in the treatment of osteoarthritis and rheumatoid arthritis. Dried GLM extracts are particularly beneficial in this regard. Green mussels are a rich source of nutrients like iron, betain and glycoaminoglycans like chondroitin sulfate. All these substances contribute to relieving joint pains and joint stiffness. Regular intake of green lipped muscles reduces the likelihood of heart attack and other circulatory problems. They facilitate healthy circulation to the vital organs and muscles by strengthening the arterial walls and improving blood flow. 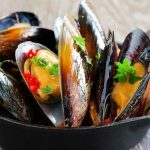 Consumption of mussels facilitates the structural strengthening of teeth and bones as well as provides necessary support to surrounding tissues. Regular consumption of green lipped mussels improves your resistance to viral and bacterial infection. They also improve wound healing by intensifying and accelerating the formation of antibodies. By stimulating the muscles, tissues and organs, green lipped mussels help improve nerve cell functioning throughout the body. Green lipped mussels benefits by improving fertility as they increase the viscosity of cervical mucus plug in women and seminal fluid in men. Green lipped mussels are an excellent source of iron with a 100 grams serving of cooked mussels contributing to over 100% of the recommended daily value for people above the age of 50. As we all know, iron plays a vital role in the production of red blood cells. 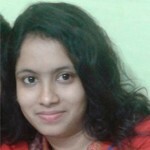 It is involved in the formation of two oxygen carrying proteins namely hemoglobin and myoglobin. Deficiency of iron can lead to health issues like anemia, shortness of breath and low energy levels. 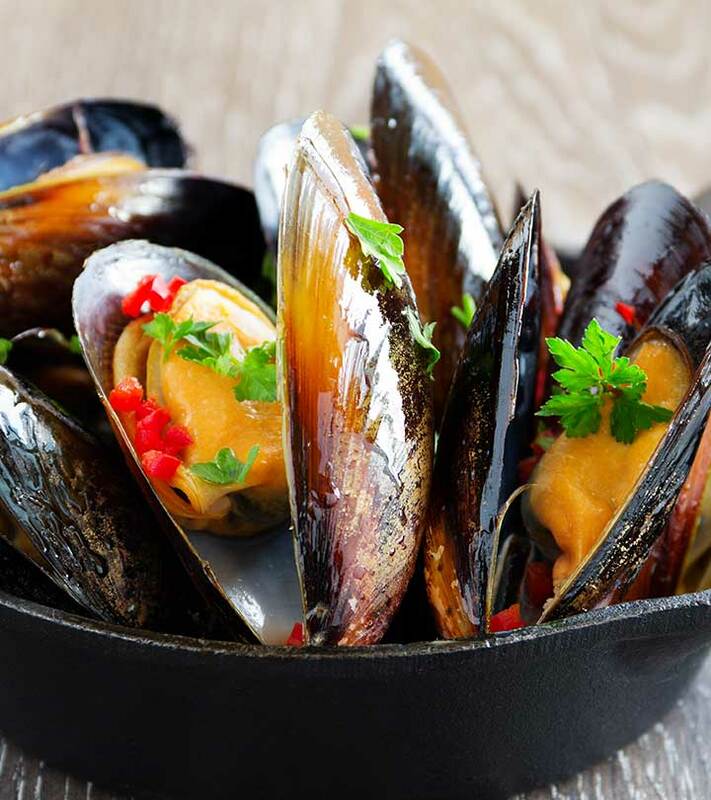 Fresh mussel meat contains the same amount of high-quality protein as red meat but has much less total fat, saturated fat and nearly 25% fewer calories. Thus, replacing red meat with mussel meat constitutes a low-calorie diet that provides benefits of weight management. Green lipped mussels possess anti-inflammatory properties that have been found to be beneficial in reducing asthma symptoms. A study showed that patients who were given GLM extract experienced a significant decrease in daytime wheezing. Seafood is beneficial for your skin as it has been shown to revive skin cells. Inflammation is one of the causes of skin aging. Green lipped mussels are rich in zinc and omega-3 fatty acids, both of which possess anti-inflammatory properties. Besides, deficiency of omega-3 fatty acids and zinc is one of the causes of psoriasis and eczema, both of which can be prevented by incorporating green lipped mussels in your diet. Besides, supplements made from green-lipped mussels extract increase the elasticity of your skin, thus slowing down the aging process. As stated above, mussels are a rich source of healthy proteins. These proteins help in maintaining cellular functions by providing structural support to the cells, enabling metabolic reactions to generate energy and allowing cellular communication to make your cells work together. Green mussels contain mucopolysaccharides that help preserve the appearance of youth. Mucopolysaccharides are found in our hair, skin and nails, and they are present in greater quantity when we are young to help us grow. They help to maintain the elasticity of skin and give a smooth complexion. As we all know, protein is the building block of life. We all need adequate amounts of protein to grow. Green mussel is a great source of protein. It supplies almost 40% of the recommended dietary allowance of protein for men and 41% of that for women. Consuming green mussels can help prevent anemia. Lack of iron in the body can lead to anemia. Green mussels contain approximately 10.9 milligrams of iron. If you are over 50, then that takes care of your daily recommended intake of iron! Even people who are below 50, a serving of green mussels can give them around 50-60% RDA of iron. This iron helps the body to make hemoglobin and prevent anemia. A 100 gram serving of cooked green mussels contains around 20 milligrams of Vitamin B12, which is essential for the pregnant women. Vitamin B12 helps in the production of red blood cells and DNA. It also helps your nervous system work properly. Green mussel is rich in natural Omega-3 fatty acids. A human body cannot produce omega-3 fatty acid and needs to take it from other sources. Green Mussel is the best source of omega-3 and polyunsaturated fat. Omega-3 helps to prevent inflammation and reduce the risk of stroke, heart diseases, and arthritis. Omega-3 is also good for brain development. 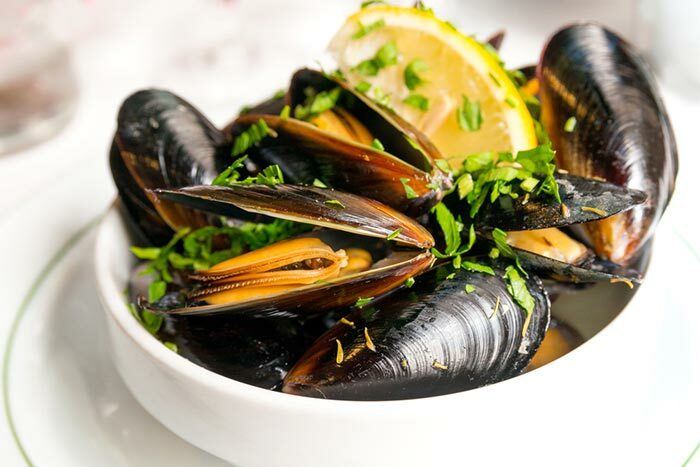 Other benefits of eating mussels include protection of gastrointestinal tract, treatment of sports related injuries, scavenging free radicals, boosting immunity, giving healthy nails and aiding healthier nerve cell functioning. So, this was about the best benefits of mussels, now know what are the precautions to follow before consuming it. Mussels are undoubtedly healthy seafood. This does not, however, undermine the need to exercise precaution in their preparation and consumption. Like other seafood, mussels are prone to bacterial contamination. Hence, only live mussels should be preferred, and dead mussels should be avoided as they deteriorate very quickly. Dead mussels are slightly open and do not close when touched. Apart from this, poisonous algae often get accumulated on the mussels that build up in their tissues, rendering them unfit for consumption. Eating such mussels can cause paralytic shellfish poisoning. The amount of algae present in mussels is regulated and monitored by Government agencies. For safe consumption, it is advisable to soak the mussels in fresh water for 20 minutes to remove sand. Use a firm brush to remove the additional sand and other debris. Rinse them under cool tap water and wipe them with a towel before cooking. Mussels can be flavored with ingredients like shallots and garlic. Hence, careful preparation and health issues prevailing in fishing areas are extremely important to ensure the safety of both commercial and self-harvested mussels. So if you are a seafood lover and look for additional health benefits, mussels can definitely form a part of your meal for a healthy dose of nutrition! Do you know of any other nutritional benefits of mussels? Share with us in the comments section below!